Hi, seoclerks customers! The team of G5backlinks is back with another great offer! With PR6 your website will get awesome ratings. A great gig to get more traffic on your website and get a subtle rating in the rankings of Google, check out this gig! We are giving you 50 HIGHPR Blog Comment Backlinks for just $5! All comments will be manual on DO-FOLLOW blogs. All work will be done without any use of any software. We will provide you an excel report at delivery. Click the green button today. 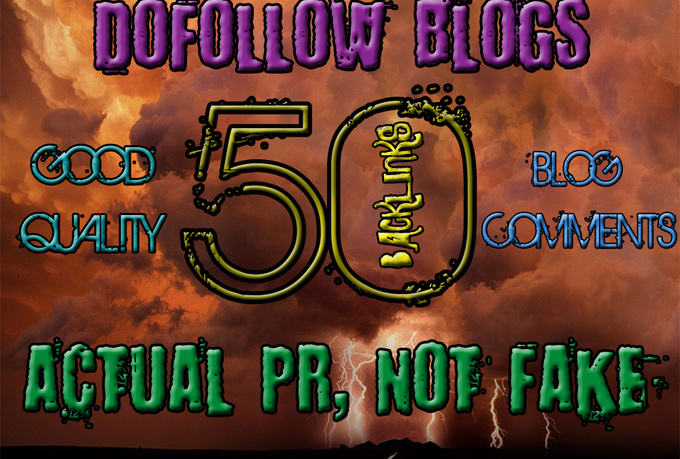 I will create 50 highpr blog comment backlinks do follow PR2 to PR6 is ranked 5 out of 5. Based on 1 user reviews.